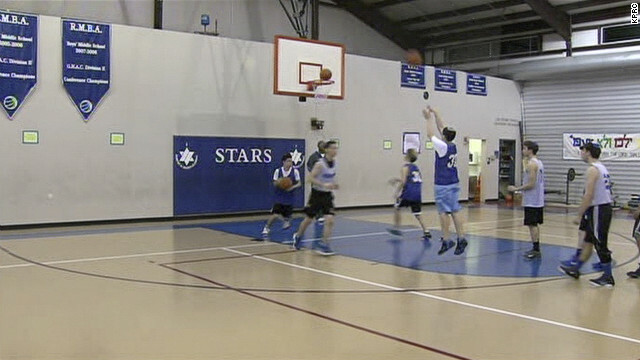 (CNN) – With a shot at high school state championship glory on the line, a Jewish basketball team in Texas is opting for the sidelines, aiming for something a little higher. The Robert M. Beren Academy in Houston will forfeit its semifinal playoff spot in the Class 2A basketball championships this weekend because the game falls on a Friday night, the start of the Jewish Sabbath. The private Orthodox Jewish school observes the weekly Jewish day of rest, called Shabbat, from sundown Friday to sundown Saturday. "You get put in adversity and the way you handle things says a lot about your character. So this is an opportunity to show our character," Chris Cole, coach of the Beren Stars, told CNN Houston affiliate KPRC. The playoffs for the Texas Association of Private and Parochial Schools (TAPPS) are set for this weekend. Beren Academy's semifinal game and the championship game are both scheduled during the Sabbath observance. "If we give up this opportunity for our religion it just shows how much we deeply care for it," Isaac Buchine, a player on the Beren Stars, told KPRC. How do you not adjust the date? There's gotta be another time for the game. I'm disappointed in the people that decided. Best of luck to that school in the future. The other school got lucky! If the schedule is not changed and Beren doesn't get to play, write them a little note expressing how you feel.